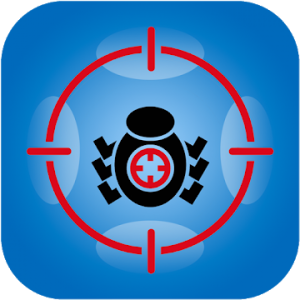 Hidden Apps Detector allows you to find hidden applications, spyware, Malwarebytes or malicious applications with or without an icon in the list of applications and display them for you to choose the action to perform. Administrator privileges and are hidden from view. – Malicious binary system that does not show its icon. – An application hidden in the launcher that is not displayed. – Malicious applications that do not use a known name. – Finds and shows applications that are not necessarily malicious but have no icons. – Unfortunately, this may not work if you use any kind of launch applications. – Hidden pps can find viruses undetectable by antivirus. Well, it’s a good idea to remove apps or hidden apps that you do not use, even if they are not malicious apps. hidden apps recommends removing them to improve the performance of your device, not only remove spyware or malware, but also remove applications that you do not use because an application does not work but receives information about various services and can send them to any destination. From the app’s hidden application sensor, you can receive information about various services. Deleting will help you improve the performance of your mobile phone or tablet. This app allows you to open some Android settings, which some phone providers hide from the user. Some applications may be considered excessive authority and this should not hide its icon. If you like our app, we would greatly appreciate it if you could rate it on Google Play. Find hidden apps and delete them!